THE BEST APP AS IT USES THE REAL RTA TEST UNLIKE OTHER APPS! Practice for your Learner Driver test with the official RTA test with no need for the internet FOR FREE!!! By popular demand, we have launched a free version of Learner Driver with the official RTA test so you can get your L plates before you download the full version of Learner Driver with Video Driving Lessons from the Best Driving School in Australia, MiniMe Driving School! This is a must have for those practicing for their L Plates. No more internet dropping out on the train and having to start the test all over again… Just download it once and do the official test whenever you like. 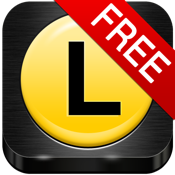 The best Learner Driver test app out there and it’s Free! No need to read this far, scroll up and download to your phone and start practicing for your test! P.S. Don’t forget to check out our Full Version with over an hours worth of video driving lessons designed to prepare you for the real road environment and to help you learn the tips and methods to driving techniques tested for the P plate test for just $3.99!! !